Now available at One Fat Frog Restaurant Equipment are a wide variety of used Alto-Shaam cook and hold ovens. Alto-Shaam cook and hold ovens allow foodservice operators to cook food products at a relatively low temperature and the hold the items until it is time to serve them. Alto-Shaam cook and hold ovens are a very reliable brand of cook and hold ovens. To ensure your used Alto-Shaam cook and hold oven has the longest service life possible, here are a few maintenance tips. The sturdy construction of Alto-Shaams and generally low-tech nature of Alto-Shaams allows them to last upwards of 20 or 30 years. Many foodservice operators will run Alto-Shaams 24 hours a day, seven days a week, only turning off the Alto-Shaam to clean them. To maintain Alto-Shaams, periodically clean them off to clean them out following Alto-Shaams’ suggested procedures and use of chemicals. When the heater cable stops working the Alto-Shaam will need to be replaced. One Fat Frog Restaurant welcomes quick cash and package deals towards the entire selection of used Alto-Shaam cook and hold ovens – as well as the entire stock of used commercial restaurant equipment. One Fat Frog Restaurant Equipment can get you financed no matter what shape your credit is in – One Fat Frog Restaurant Equipment can get you approved for all of the used Alto-Shaam cook and hold ovens you need. 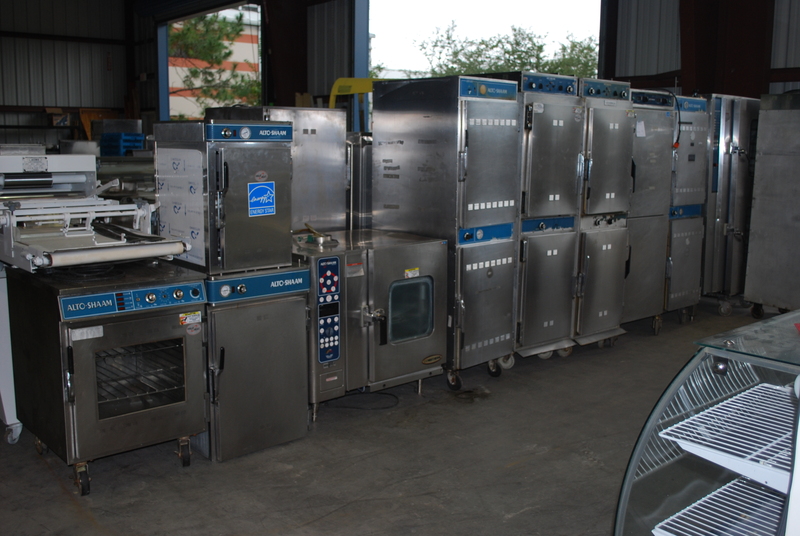 Come into One Fat Frog Restaurant Equipment today and check out the selection of used Alto-Shaam cook and hold ovens!